My kitchen is the heart of my home, and the heart of my kitchen is the oven so when ours started to stop working I needed a new one with as little stress as possible. 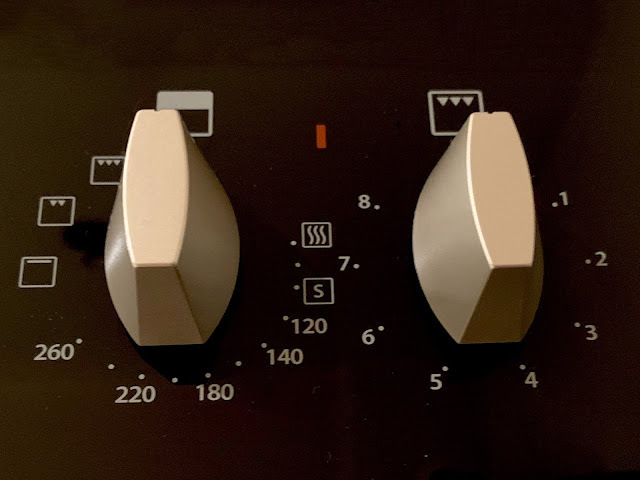 The idea of going round a sales room with a toddler turning all the nobs and trying to climb into dishwashers didn’t sound like a great idea so I went online to look at the options available from AO.com. 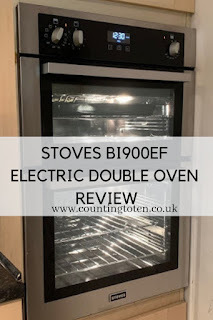 AO kindly offered me the Stoves BI900EF Built In Electric Double Oven to review and I got to experience their delivery, connection and recycling services too. I didn’t want to change the layout of my kitchen at all so I was looking for a similar oven to the one which was broken. 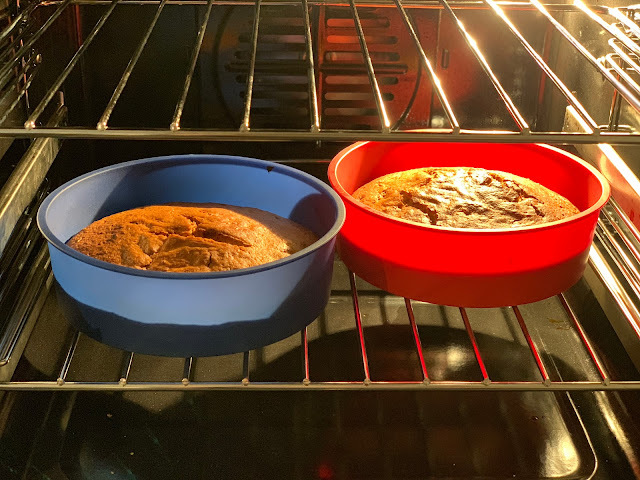 The AO website lets you select what you want (for me a built in at eye level electric double oven in the right width). 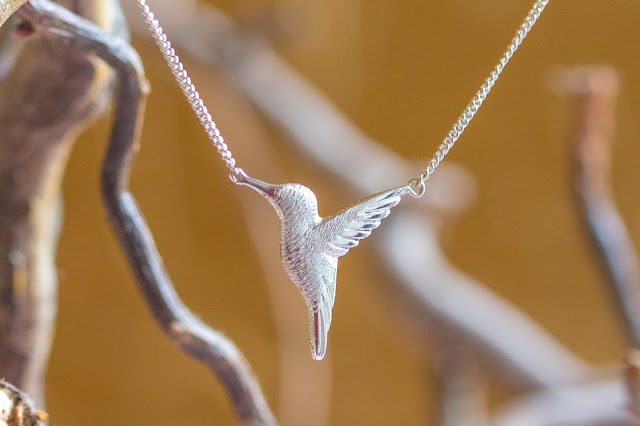 There were lots of options available and most with next day delivery, dependent on postcode. 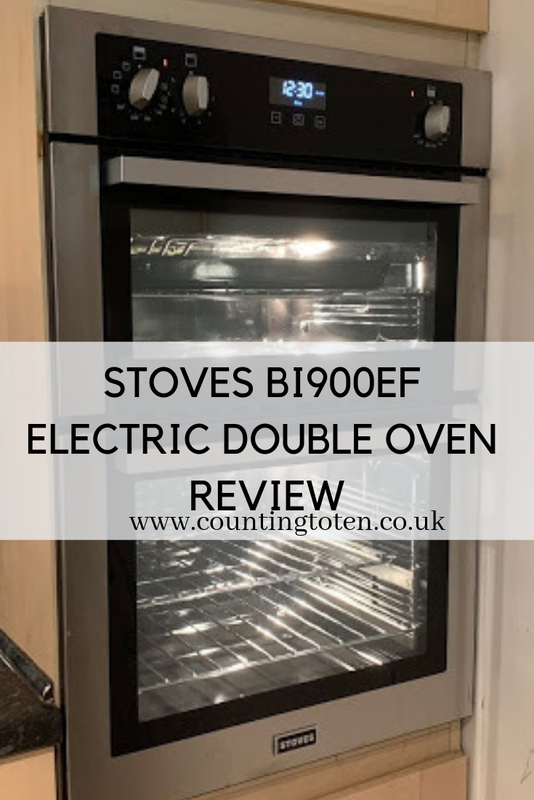 I chose the Stoves BI900EF because it has a good energy efficiency rating (A for the main oven, B for the second oven), it does everything we need and the stainless steel look works well for our kitchen. The main oven is controlled by just one nob which means I can be confident my partner will actually turn it on properly. I have previously had a range of options for the oven (like fan off or on, pizza setting etc), but I didn’t use anything other than having the fan on and using different temperatures so why over complicate things? The oven goes from a low temperature which can be used for helping dough rise through to 240 degrees celcius. 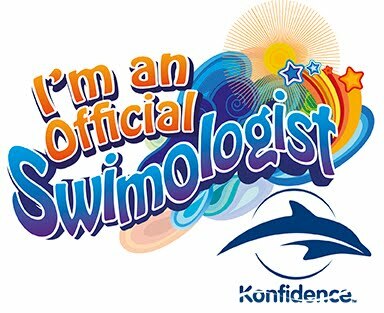 This means I can do everything from warm plates to slow cook food to fast cook pizza. It does exactly what I need in an oven. The top (smaller) oven is controlled by a main nob to select temperature if using as an oven or the grill function (single grill, dual grill or top heat), and a second nob to control the temperature of the grill. The oven has a clock with bright white numbers. 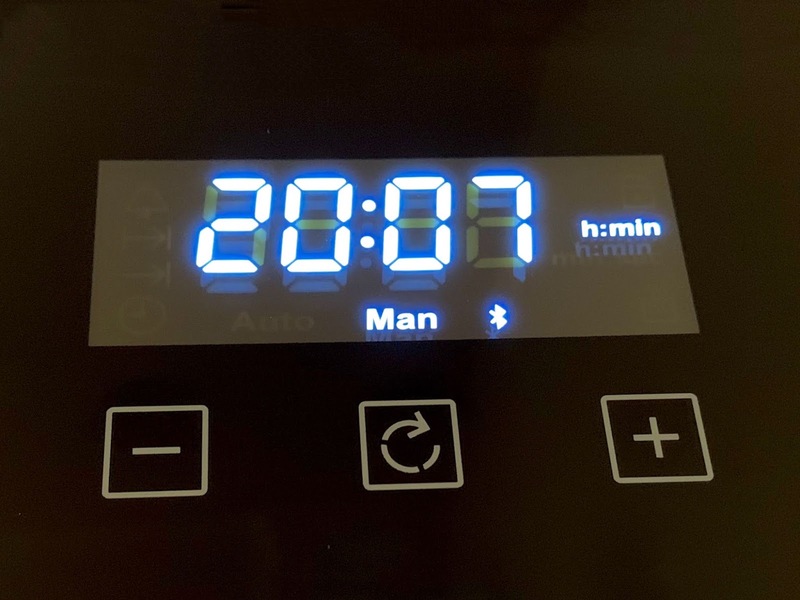 The menu allows you to set a minute minder (a countdown timer until an alarm goes off), a cooking time alarm to choose a time for the oven to go off and an end of cooking time function which allows you to select the time the oven should go on and off at. Once set you can lock the keys which is helpful to stop anyone accidentally changing the settings. 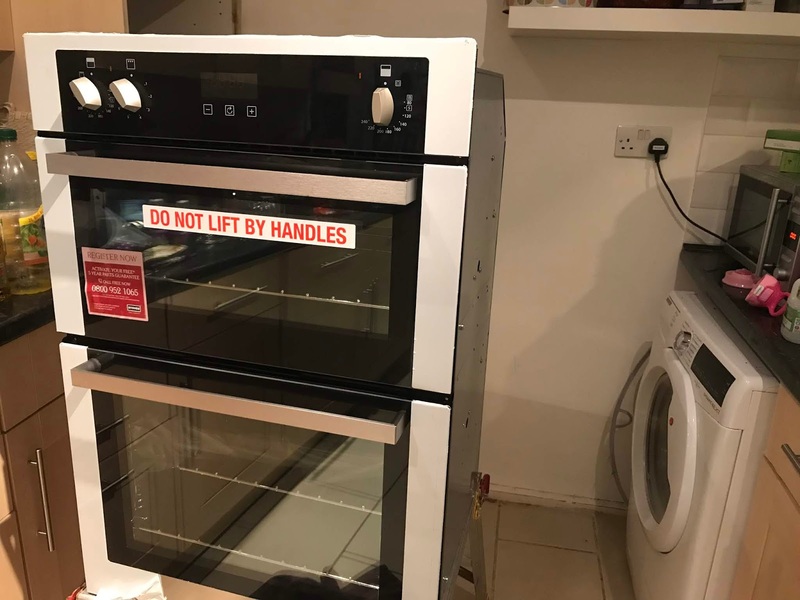 The oven also has bluetooth connectivity. Having tried using the Zeus app the most useful function is that it will automatically update the clock from your phone when connected (handy for the clock changes). It also allows you to select a start and end cooking time, but from my trial when the cooking time ends an alarm will go off and while you can stop it remotely the oven then goes back on. It would be more useful if you could turn the oven off through the app (very useful if you get stuck under a sleeping child). 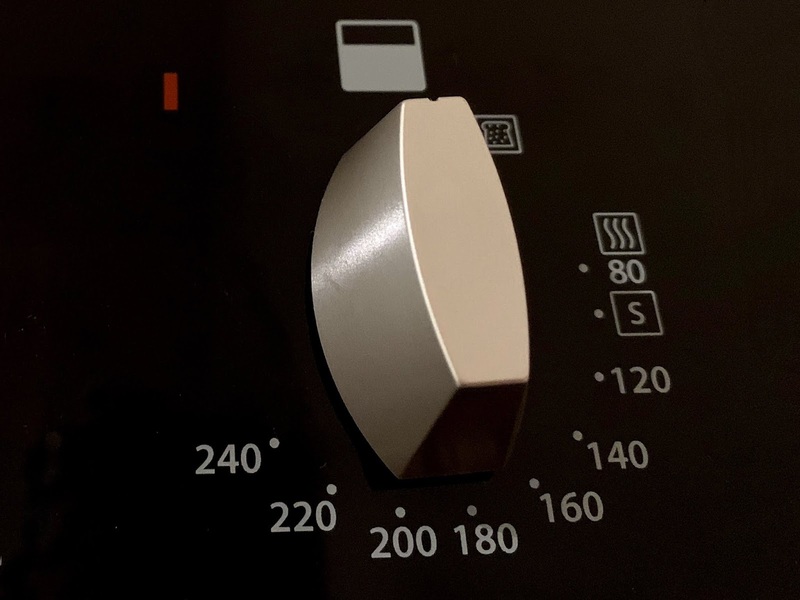 It is faster to set the timer options through the app than directly on the oven so some people may like using the bluetooth function. The double oven gives us more flexibility than a single oven and grill, while you can use the top oven as just a grill using it as an oven means you can cook food at two different temperatures at the same time. 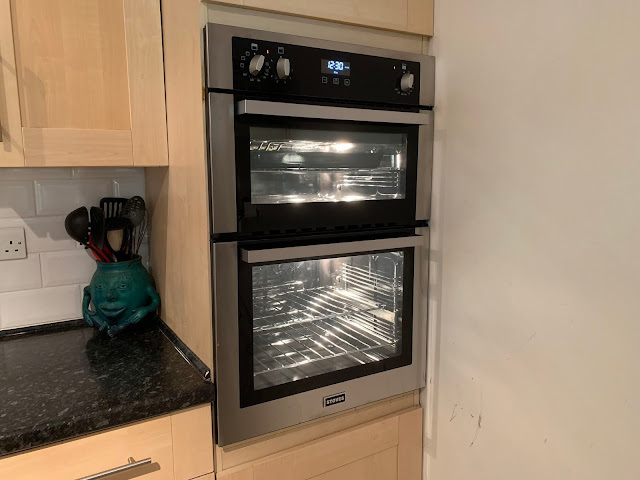 Fitted at eye level with the knobs at the top means they are well out of the way of little hands which wont be able to accidentally turn the oven on, or worse up, when I’m not looking. The oven door is well insulated. 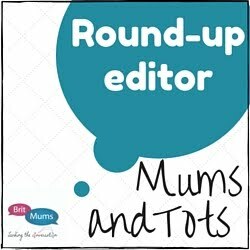 My toddler went up to the oven while I was cooking a roast and put both of her hands flat on the oven door for several seconds. She didn’t seem remotely bothered by the heat, I felt her hands (before running them under the cold tap just in case) and while they were warm they weren’t hot. I then tested the oven door myself and could hold my hands there for a few seconds before it became too uncomfortable. 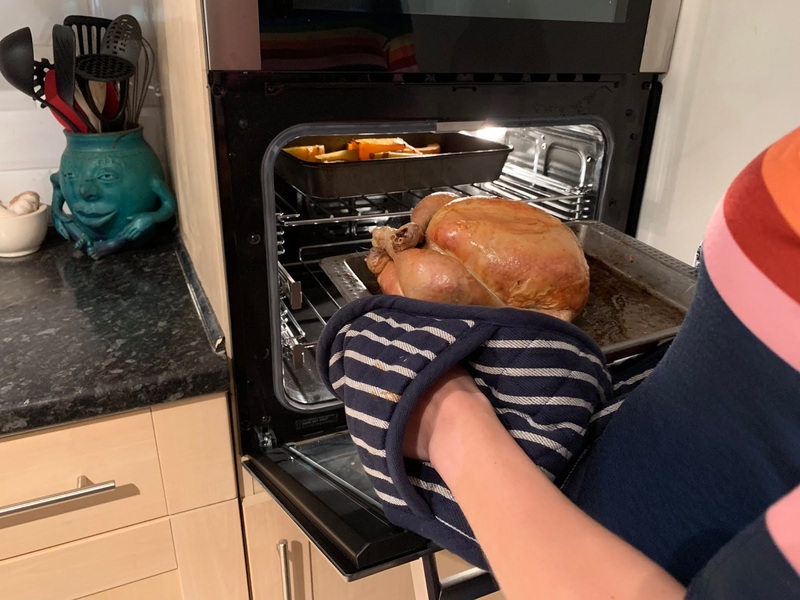 You can do your best to keep children away from danger in the kitchen, but as I don’t tend to sit watching my food cook in the oven it’s a relief to know that it’s safe for my children to be around. 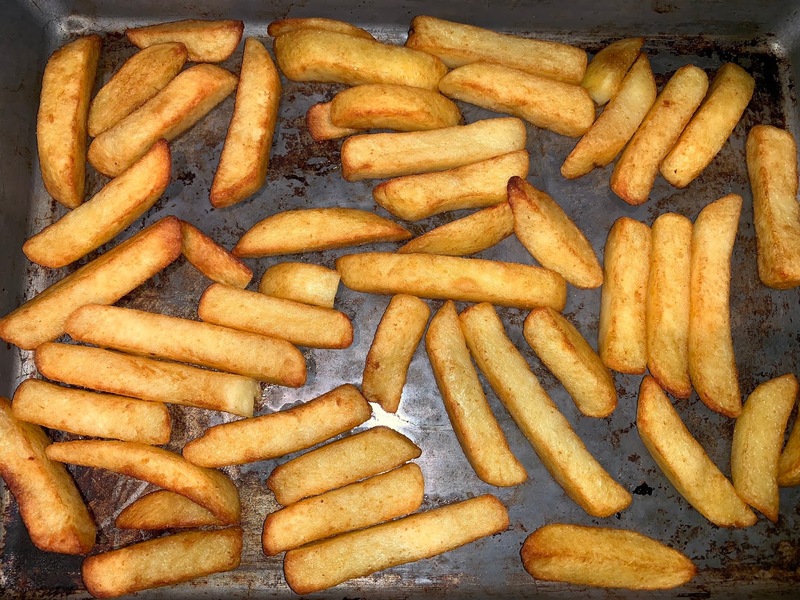 I have so far used the oven to cook a roast chicken with vegetables, roast lamb with crispy potatoes, cakes and chips. The heat appears to be even throughout the oven and it cooks well regardless of shelf height. The ceramic coating of the oven has wiped clean of most traces of food when cooled. Unless you live with an electrician it’s definitely more convenient to get AO to connect the oven when they deliver it. In less than half an hour they had disconnected and taken away my old oven, brought in and connected the new one, taken away all the packaging and checked the electrics. They even swept the floor to remove the little bits of rubbish from the process. It was reassuring that before and during installation they tested the electrical connections to ensure the oven was working properly and the socket was too. Ours was mostly ok, but they have suggested we get an electrician in as the earth reading of the house was a little high. After installation they told us to turn the ovens on and leave them for about half an hour to burn off the coating from the ceramic interior. This required all the windows open and it was a rather horrible smell, but when we used the oven the next day there was no smell. The convenience of using the connection and recycling service means I would definitely recommend it to others. Ohhh I love how it has Bluetooth connectivity! Looks ace! It's certainly great that they offer the recycling option, Bluetooth though? I'm all for a connected home, but why can't we choose an industry standard? !